Sue is also the Founder, President and Lead Consultant of Ncline Leadership Strategies, LLC., an executive coaching, team development and management consulting firm focused on the development of the leaders that drive business success since 1999. Having held leadership positions in both corporate and non-profit environments, Sue brings a goal-oriented, practical and insightful approach to her clients in the healthcare, technology, financial services, entertainment and education industries. Sue earned a Master of Arts from Columbia University, Teachers College in Organizational Psychology following her Bachelor of Arts from State University of New York at Stony Brook in Psychology. She is certified in a number of coaching and developmental processes and tools including The Center for Creative Leadership’s Benchmarks and Executive Dimensions, Emotional Intelligence (EQ-i, MSCEIT, The Hay Group ESCI), Myers-Briggs Type Indicator, ExecutiveView 360, FIRO-B and IMA’s Change Management Processes and Tools. With a background in education, Sue teaches Executive Leadership, Talent Strategy & Management and Negotiations in the Executive MBA, Health Care Executive MBA and Fully Employed MBA programs at University of California Irvine. 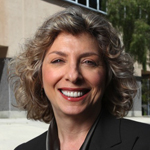 She is also a Teaching Fellow with UCI’s Center for Global Leadership and serves on the Executive Education Advisory Board and Faculty for the Certificate Program in Healthcare Transformation. Sue was awarded the Excellence in Teaching Award, Executive MBA Program in 2011 for her accomplishments in Teaching Negotiations. Sue is also a renowned speaker in Leadership, Negotiations, Emotional Intelligence, Talent Strategy and Change Management, including such topics as Negotiating Smart with Emotions; Mistakes, Mishaps and Blunders – Learning from and Leading Through Failure; “MAD” Times: The Human Side of Change in Mergers, Acquisitions and Downsizings, Influential Leadership, among others. Active within her community, Sue is a member of the Dean’s Leadership Circle and E2E Mentor Program at the University of California Irvine. Additional memberships include: Healthcare Executive Businesswomen’s Association (HBA), Center for Creative Leadership, Human Resources Strategy Forum (HRSF), Society for Human Resource Management (SHRM), American Society for Training and Development (ASTD), ASTD Los Angeles Mentor Program, and the Organization Development Network (ODN). Sue holds leadership roles in two leading health care non-profits. For the American Lung Association, she serves on the Governance and Advocacy Committees on the California State Board of Directors, is a member of the Board of Directors in Los Angeles and provides expertise to the National Learning Management System Committee. For the American Cancer Society, Sue is a Lead Coach in the National Leadership Development Program, a member of the National Talent Strategy Strategic Operations Advisory Team and a member of the Regional Council/Board of Directors in Los Angeles.